A traditional agricultural village turned into a modern spa resort, the municipality of Bad Kleinkirchheim is renowned for its excellent slopes, fantastic spa facilities and astounding natural beauty. As one of the top Austrian resorts, this region is more than just a place to ski. Set at an elevation of just above 1000m, this Austrian region is best known for its status as a World Cup resort, as well as its many pistes to match just about any ability level or style of skier. With countless hours of sunshine and some breath-taking views, it isn’t a mystery why this resort is one of the best-loved worldwide. From family-friendly things to do to solo and couple activities, this busy and bustling resort is continually expanding and improving and features plenty to do for just about any visitor. The population of Bad Kleinkirchheim has exploded in recent years, more than doubling to just under 2,000 residents as a result of the increasing popularity of the resort and surrounding area for tourists and returning visitors. Thanks to its desirable location, the population of the region continues to grow. With around 100km of ski slopes available to visitors and a ski club within the region that’s been open since 1947, there’s no guessing what the top pastime is for locals and holidaymakers alike, with the slopes providing the perfect conditions for some genuinely excellent skiing. As such, there are more visitors to Bad Kleinkirchheim during the winter months than in any other season. For those who prefer to go ‘off the grid’, over 12km of cross-country skiing is also available, to add that extra challenge for those who want to get back to nature while enjoying the region’s favourite sport. With a winter season running mainly from December to March, with some variation each year, there’s plenty of time to make use of the slopes and enjoy all of Bad Kleinkirchheim’s seasonal activities. On average, 75cm of excellent quality, gripping snow is standard for the area, making it a good option for those who love their days out soaking up the winter sunshine. 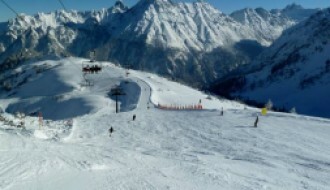 For up-to-date snow and weather reports, take a look at our Bad Kleinkirchheim resort guide here. As one of the most popular resorts in the region, Bad Kleinkirchheim doesn’t fall short with the many amenities it offers, both on and off the slopes. Visitors can enjoy a variety of different pistes, from those for families and beginners to those on the challenging side, or even try our other snow sports thanks to the newly designed snow tubing area. For holidaymakers who prefer to spend their time off the slopes, Bad Kleinkirchheim features a state-of-the-art spa, complete with authentic sauna and even heated relax loungers. 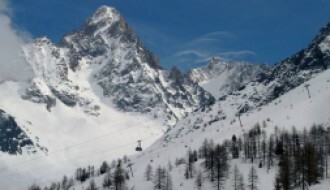 Multiple exits and entries to the slopes ensure that time spent enjoying the bright weather of the resort is maximised, as well as 24 individual lift and car facilities. A fully-equipped snow park is also available for both skiers and snowboarders to enjoy, alongside the many different restaurants and bars around the resort suitable for evening entertainment or unwinding after a long day. 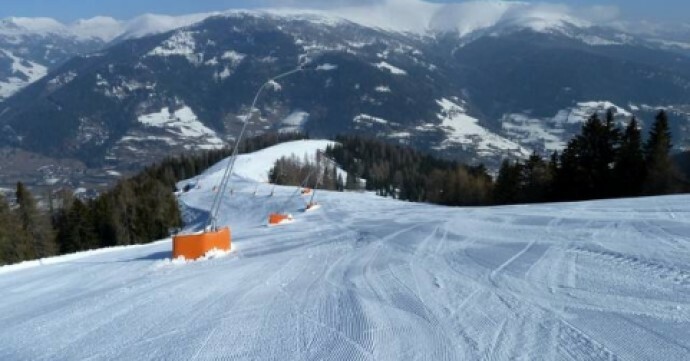 In 2015-16, Bad Kleinkirchheim placed considerable investment into upgrading their facilities, including a sauna placed right on the slopes known as the ‘thermal cube’, plus improvements to chairlifts and increasing the number of cable cars available. Bad Kleinkirchheim continues to improve and innovate over time. A highly popular resort destination with a growing population, Bad Kleinkirchheim is a hotspot for investors and those looking to improve their property portfolio. If you’re considering buying a property in Bad Kleinkirchheim, there will be a wide range of choice available to you. From luxurious modern apartments to traditional Austrian-style properties, the Bad Kleinkirchheim resort is a mix-up of multiple different styles and property types, making it the ideal place to invest in as it only increases in popularity over time. The inclusion of spa facilities and unique features, such as the on-slopes sauna, only makes the location more attractive to potential buyers looking for something truly unique. 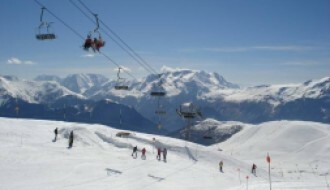 As a large and bustling resort in Austria, transport links to Bad Kleinkirchheim are well-established, with many shuttle and taxi services offered to get you from A to B with ease. Klagenfurt and Laibach are the closest airports to travel from, and the resort provides connections and airport shuttles from these destinations. Alternatively, for those who prefer to make their own way to the resort, it’s relatively easy to reach Bad Kleinkirchheim by personal or hire car, with clear directions available and the resort signposted on the scenic route. A popular, unique and spa-focused ski adventure, Bad Kleinkirchheim is one of the most popular resort in Austria for those serious about the skiing. With countless activities and amazing views, it’s no wonder that visitors come back to this municipality time and time again.